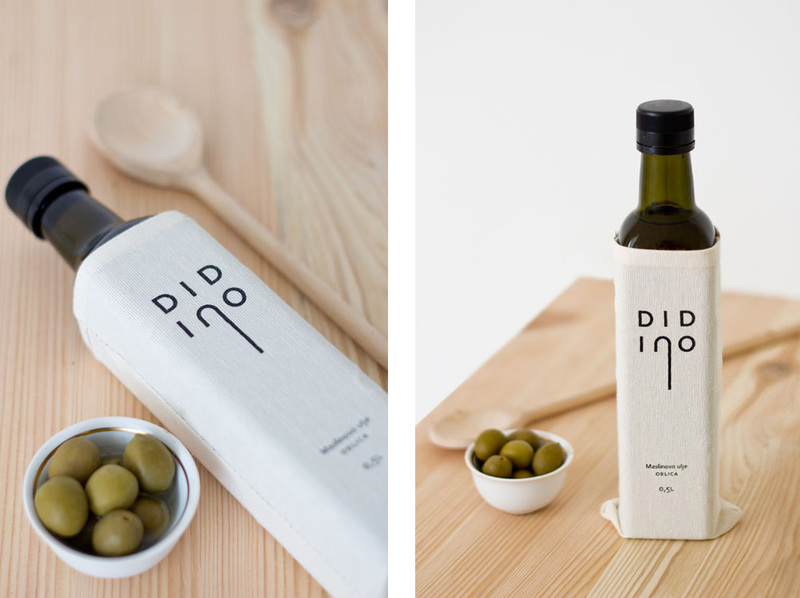 When our friend told us she wanted to brand her grandfather's olive oil, we knew it would be a wonderful project. His extra-virgin olive oil is a limited edition production, and the smaller number of bottles allowed for more production options. She named the oil DIDINO (Grandpa's), and within the beautiful, sentimental story about him and his olive orchard, she talked about the large jute sacks he would carry when going to collect the olives. The design was silkscreened onto a textile that reminded of jute material, and sewn into a custom sack for the bottle, which also protects the oil from the sun. The logo is based on the grandpa's walking cane, but also has a flowing, oily feel to it due to the elongated letter "n". On the back is a brief story about her grandfather and his orchard. Flyers and business cards were silkscreened on a heavy-stock paper using a combination of black color and natural paper — both beautiful and budget friendly. Soon after launch DIDINO Olive Oil was accepted to the oldest and finest vinotheque in Croatia. Vinoteka Bornstein, whose incredible cellar is located in Zagreb is widely known as the temple of best national and international wines, extra virgin olive oils, istrian truffles and finest sweets. It's also steadily entering some of the finest restaurants throughout the country.